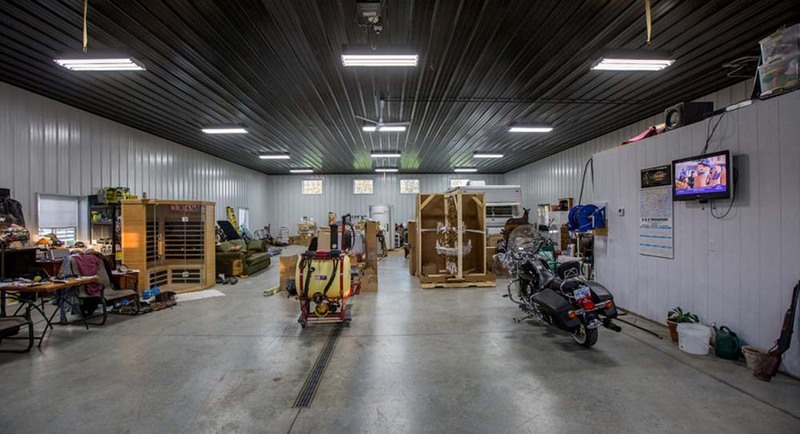 Home / Metal Buildings / Outstanding Metal Hobby Garage! 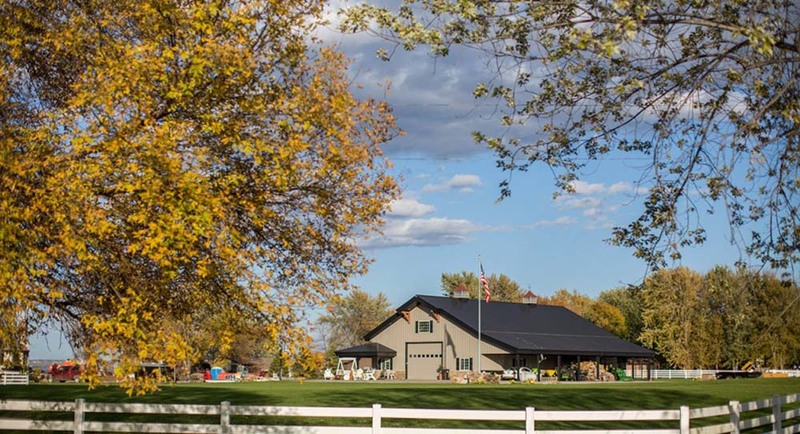 Have you ever looked at your house and realized that you needed some sort of an upgrade? That somehow it just couldn’t contain all the stuff that you’re intensely passionate about and that you’re asked to sacrifice a few items for the sake of ‘saving space’? Well, now you don’t have to worry! 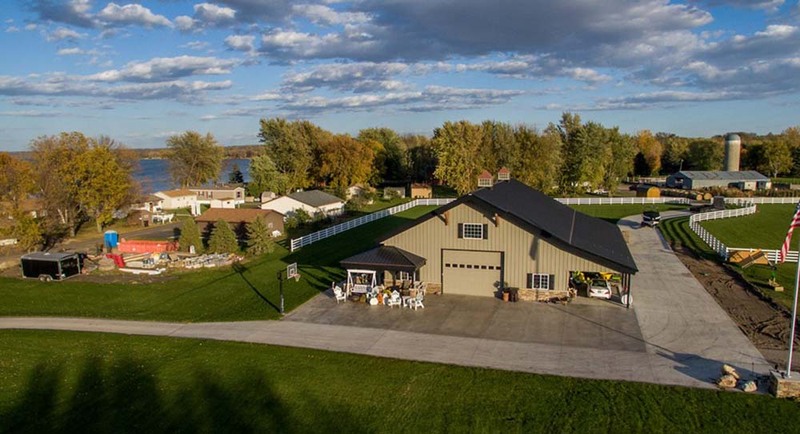 Morton Buildings has a large selection of hobby garages for sale. 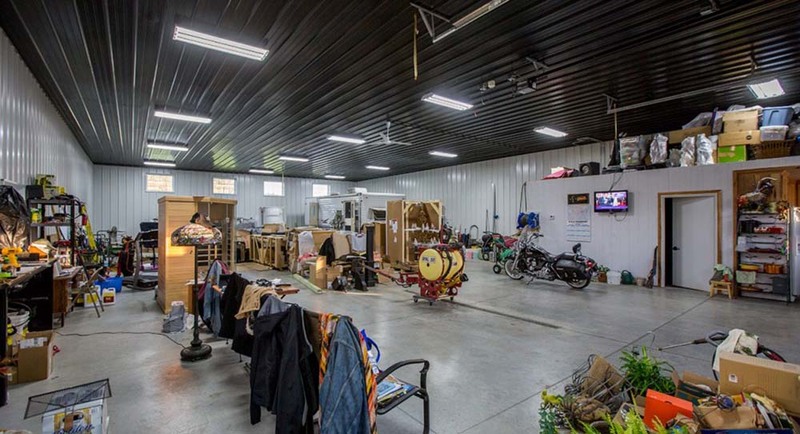 This large metal hobby garage is not only functional for housing your vehicles, extra supplies, and a workshop but also doubles as an entertainment area. Made from the finest Morton’s Hi-Rib steel and with Morton’s Energy Performer Insulation Package, it’s sure to be fine in both warm and chilly weather. Windows with shutters are also available to help reduce the electricity one spends on lighting by allowing sunlight to shine through them. 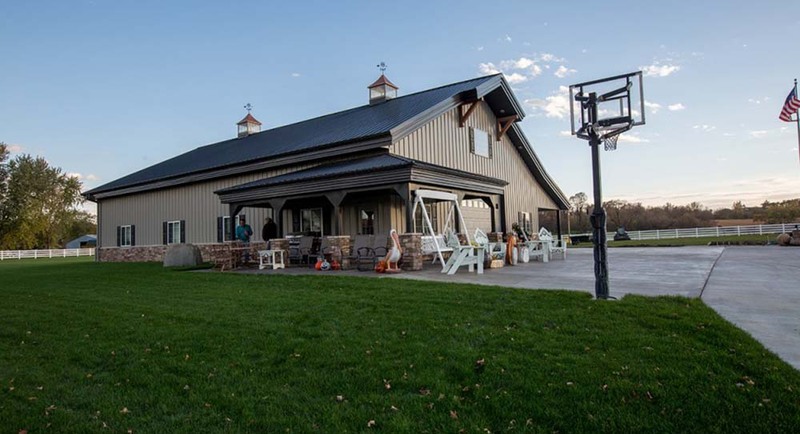 With an area of 42’ W x 14’ H and the building height of 75’, this hobby garage also comes with a wrap-around porch for other additions one may want to add to accommodate their interests, such as a basketball court! Don’t worry if this big guy seems out of place. 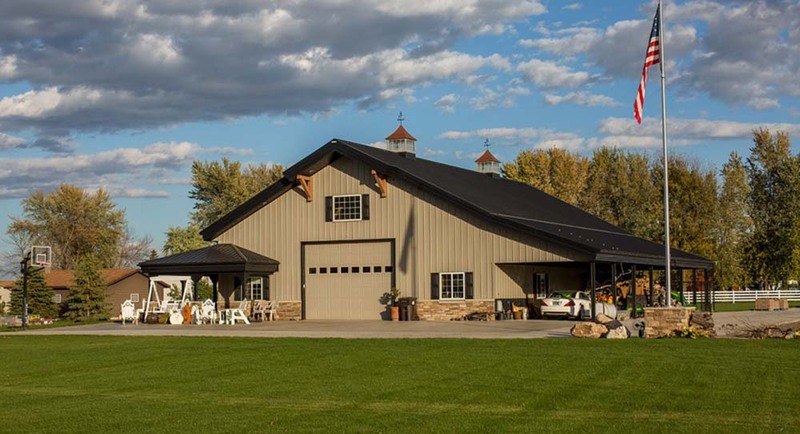 Nestled in a wide-open area surrounded by trees, the garage is a perfect getaway from the hustle and bustle of city life. 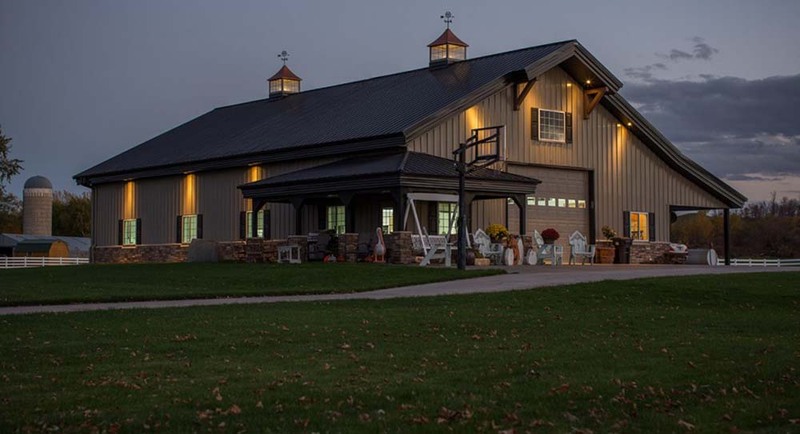 It is painted in muted brown, has stone wainscot, and deep fascia overhangs, making it the perfect extension of your home. 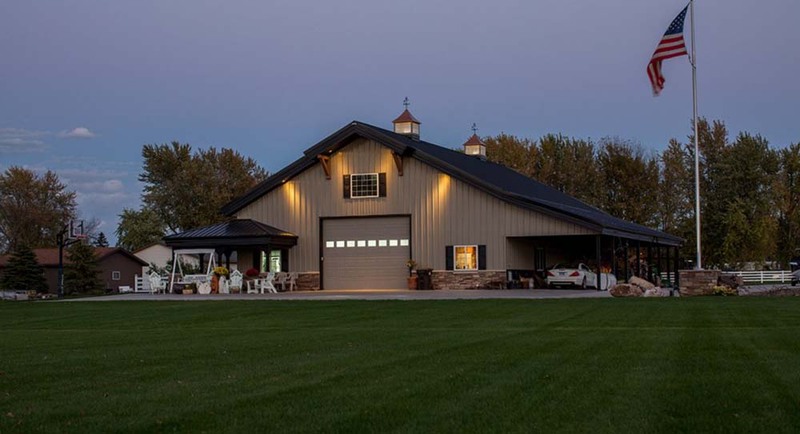 This beautiful garage could be yours, and it’s waiting for you in Starbuck, MN. If you have any more questions regarding this property, feel free to contact Morton Buildings. A flat screen TV is mounted on the wall.